Lloyd Logan, a Canadian citizen, served in France and Belgium during the war with the Third Engineering Division of the Canadian Expeditionary Forces. 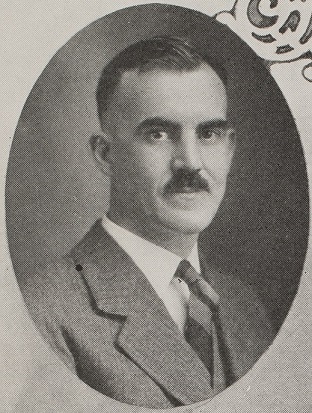 He later came to Johns Hopkins as a faculty member in the 1920s, and was one of the founding members of the department of Chemical and Gas Engineering in 1937. Logan died in 1938 at the age of 48. The Lloyd Logan Papers contain a great deal of wartime correspondence sent by Logan from his posts in Europe to family and friends. 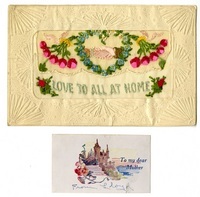 A sampling of postcards in the collection is displayed here, including Field Service Postcards. Field Service Postcards were designed to allow soldiers to quickly send information home about their current situation, since they did not require review by censors. No additional information could be added to the postcard, though soldiers occasionally used placement of stamps or codes to convey additional information.